Peter is a fourth generation Kiwi, raised in Auckland. He had a distinguished naval career for over 21 years and remains as a naval reservist. 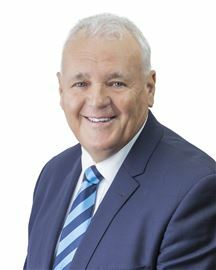 Since retiring full time from the navy, he has been involved in hospitality business ownership and working in government corporates, giving him a set of skills which he has utilized to grow the Howick and Pakuranga Offices. He has been involved in the buying and selling of property since he was 19, adding to his real estate knowledge and experience. When the opportunity arose in 2018 to become the business owner of the two Harcourts offices, it was an opportunity he could not go past. Peter is involved in the day to day running of both offices and the recruitment and retention of our highly skilled sales consultants. Peter is all about family, whether it is his work family or his home family. An agent with an extraordinary career, Susan Woolnough brings to Howick, a lively approachable manner, knowledge, experience and education in the real estate profession. Starting her career in 1994, she has a long career to draw on and Susan’s reputation has been built on her successes and her portfolio of satisfied clients. Qualified as an Associate Member of the Real Estate Institute (AREINZ), Susan is amongst a small percentage of agents in New Zealand who holds a Diploma in Business Studies with an Endorsement in Real Estate from Massey University. 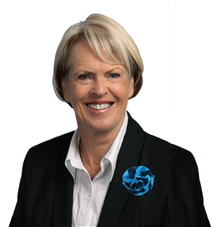 Originally from Palmerston North, Susan began her real estate selling career in the Rangitikei, and has since owned and managed successful offices in Orewa, Birkenhead, Manawatu and Queensland. During her career, Susan has received many awards and has trained many new and existing real estate consultants. Susan believes in maintaining a high level of professionalism and ensuring the customers expectations are exceeded and this is passed on to her sales team. It is all about doing the right thing and ensuring a person’s real estate experience is an exceptional one. Prior to commencing real estate, she worked at Westpac Bank and then owned two designer giftware stores. In 2010 to the end of 2012, she lived in Papua New Guinea, managing an office that specialized in Visa’s and Work Permits for expats. Happily back in the Auckland with her husband John, and daughter Bridgette, enjoying all the opportunities that Auckland has to offer. Abbie offers a fresh, enthusiastic approach to real estate. Her exceptionally warm personality and outgoing nature is underpinned by a professional and hardworking temperament. Abbie has a true passion for property and assisting clients to achieve their property goals, priding herself on delivering outstanding customer service. Abbie believes honest communications are vital and she strives to be there for all her clients from beginning to end. As a partnership, Glen and Abbie are a successful, energetic team, a team that shares a commitment in delivering the highest standards of transparency, competency and compassion. I am a well-travelled individual, having worked abroad in the economics and finance sector, I understand the pressures that comes with financial decisions. Alongside that, I know how to mitigate these pressures with my past work experiences in the economics and finance sector and put them to good use in the real estate industry. One-sized never fits-all – personally catering to the needs and demands of each of my clients is what I embark on each time I meet a new client. No one is the same, we all have our own journeys and aspirations as to why we are looking through the property market and what we seek within that market. I am excited to find solutions and offer my services to you. I have been through the journey of searching the real estate market myself several times . I understand the stresses that comes with making the big decision on purchasing a new home, moving into the new home and everything in between and beyond. Allow me to stand with you, so that I may guide you through this journey - whether you are searching for your next home, looking to sell your existing property, or exploring new and exciting opportunities. Let me take the stress away by calling me for a confidential conversation. 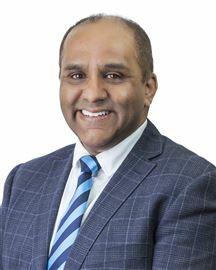 Born and raised in the Eastern suburbs of Auckland, I have a great knowledge of the area and it was the obvious geographical part of Auckland to start my new real estate career. Real Estate is all about people, who they are, their stories, their lifestyles, of which I am very passionate about, being the natural entrepreneur I have become. Always the optimist, with a great zest of life, and cultures. I truly love the Eastern suburbs and it’s my home and I would love to help you find your home. I’m no newcomer to challenges of working in highly pressurized customer related industries. My success has been achieved by building amazing relationships and this is my asset and skill that I carry with me each day as a conscientious, true people’s person, and above all I am honest! At the heart of every great sale is a passionate realtor - that is why the personal approach matters. Call me, as I’d love to hear from you. With her vibrant personality and fresh, energetic approach, you can’t help but feel inspired by Bridget Bennett’s enthusiasm for real estate. It’s not just her winning way with words – you sense her genuine passion for the property market, which was what prompted her to seek a career in real estate in the fi rst place. Joining the Harcourts team was one of the best decisions she’s ever made. She liked their professionalism, their cutting edge technology and above all, their systems and support services. As an extremely dedicated, hard working individual with a wide social network, she soon achieved some great results for her clients. She attributes her ongoing success to her empathy for people. Bridget is extremely focused on her client’s needs, which helps her to establish strong relationships relatively quickly. Her philosophy is simple – to get the best possible price in the shortest possible time. Bridget achieves this in a sensitive, thoughtful way that makes both buyers and sellers feel as if they’re in a win-win situation. Bridget keeps in constant contact with her clients, following up all prospects and offering regular feedback to ensure homeowners have realistic expectations about what their property is worth. One of her key strengths is negotiating. A straight shooter, Bridget sees no point in going backwards and forwards between obstinate buyers and sellers. She knows how to quickly move buyers to an acceptable level that vendors will respond to in a positive way. Having started my Real Estate Career in1997 I have met so many wonderful people and families which in turn I have had the pleasure of being part of their big decisions. I enjoy being part of the community and this year have chosen to sponsor the under 12 boys football club. Top 5% Harcourts NZ $275million in local sales Christina and Matt Hindle are a great team to have on your side. So, when you want considered advice & a premium price for your home give Matt and Christina a call. Ethan immigrated to New Zealand in 2003, and has lived in Auckland for over 13 years. Before he started his career in real estate, Ethan had his own export business between New Zealand and China, which give him excellent experience in sales and communication. 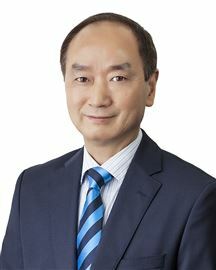 His fluency in English, Cantonese, Mandarin, and the understanding of the New Zealand culture, gives him the ability to deal with all type of clients. Currently living in the East Auckland area, he has a passion for the location. With his professionalism and knowledge of property, Ethan achieves successful results for buyers and sellers. "Your trust, My honour"
James migrated from China in 1999. He is fluent in Mandarin and English. Before coming into real estate, James run his own hospitality businesses for over 10 years. He increased turnover in every single business he has owned, in most cases over 50%. He did so by providing exceptional service and developing meaningful relationships with his customers. Through his business experience, James developed his marketing expertise and negotiating skills. So, his clients can be assured that James will utilise these skills to achieve the best possible results for them. James understand his clients ‘needs and acts as a trusted advisor for them. He works very hard to make the whole process as easy as possible for them. So trust James with your real estate needs! He will guide you through the process and give you the best result. Call me today to discuss your real estate needs or for an obligation free market appraisal. Janice has lived and worked in the Howick area for the last 20 years and holds a wealth of local knowledge. Her professional approach and ability to work with clients to achieve their desired outcome ensures that the selling and buying process is as stress free as possible. 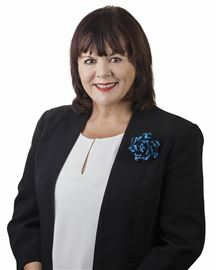 When dealing with Janice •	You will find honesty and integrity •	You will be listened to •	You will be given truthful feedback •	You can expect her to follow through on the promises she makes For all your real estate needs call Janice now and she will happily help you to “turn your dreams into reality”. THIS IS WHAT PAST CLIENTS HAVE SAID… Janette Martlew - 5 Tromie Place, Highland Park: Janice was wonderful, hardworking and honest. She especially went to a lot of trouble to find a house that I liked. Harcourts provided excellent marketing and an outstanding auction result. They could not have done anything better, it was all just perfect. 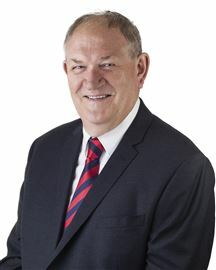 Brendan Lincoln - 1/48 Gosford Drive, Botany Downs: I would like to thank you for the work that you put in to achieve the impressive sale of my house recently. During the process my feelings went from mild scepticism, to a quiet confidence and then to a period of stunned surprise at what you had accomplished. Your ability to sell houses comes not from just knowing houses but by knowing people. You definitely had the skills to walk into MY castle and organise me to present my scruffy manor into a show home that added many thousands to the final selling price. Judy Cummings – 31A Haven Crest, Somerville: We would like to whole heartedly thank you for your services. We believe you went over and beyond the requirements of an agent and as I've said before - my Mum really did choose the right agent to assist her! The care, time and effort you devoted to her, the attention to detail, and spending extra time with myself in Australia has all been extraordinary. We appreciate this has not been an easy sale and the extras you have done including organising building reports and attending the surveys was really valued by us all. Thanks again and I would highly recommend you to any future vendor for your extraordinary services. John & Judith Grobelny – 54 Finnerty Ave, Howick: Janice was completely dedicated to the task of selling our home, her attention to detail was very helpful and her communication with us was exceptional. At no time did we have unanswered questions and we received constant feedback on interested parties and possible bidders. The marketing programme ran like clockwork from start to finish. We would not hesitate to recommend her as she is friendly, approachable and very dedicated to her profession. 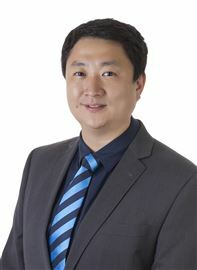 Jayden Xia came to New Zealand in 2002 and completed his tertiary study at Auckland University of Technology graduating with a Graduate Diploma in Business, and Bachelor of Business in Accounting. Living locally for more than 10 years is an asset as Jayden has a wide knowledge of the benefits of our area and many contacts to assist new arrivals to settle in to their new home. Jayden’s strong communication skills are immediately evident and his experience in sales and customer service are of great benefit in assisting his real estate clients. Jayden is reliable, honest and easy to deal with and his people skills immediately make others feel at ease. 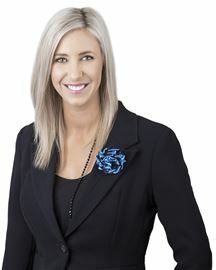 Jayden believes in always being connected, ready to help and can be reached when needed – vital in the fast paced world of property. One day a family member handed me a non-fiction ‘best seller’ in real estate, I read the book and envisioned ‘happy families, customers, and individuals’ and it stuck! I knew from that instance I wanted to make a difference in peoples’ lifestyle. Coming from a large family has taught me to be humble and to appreciate ‘family’. Living abroad in the United Arab Emirates as an International Cabin Senior has taught me significant experiences like cultural awareness, having to work with 100 plus nationalities over the course of five years, service, discipline, and integrity. Working amongst the best and offering over a decade of excellent customer services. Gaining a bachelor’s degree in business has fine-tuned my customer care strategies. I believe ‘family, culture, discipline and integrity ‘, when united increases my true passion which is real estate. I aim to achieve best practices and best results. Joy Tang graduated from Shanghai International Studies University in English Literature. After graduating, she worked as a college teacher for five years before joining Richard's team in Feb 2014. Teaching experience helped her considerately in understanding people’s needs, communicating with different people and solving problems. Joy speaks both English and Chinese fluently allowing her to deliver the smooth service to a wider client base. Organised and efficient, she is diligent in all she does, making sure no corners are cut. Born and raised in the Eastern Beaches, Karl possesses an affinity and knowledge of the area that comes with being a local. When the opportunity arose in the late 1990's to turn a burgeoning interest for real estate into a bonafide career, Eastern Beaches was the obvious place to start. More than a decade on and the Eastern Beaches remains at the core of Karl's business. It is here that Karl has established an extensive and loyal customer base. 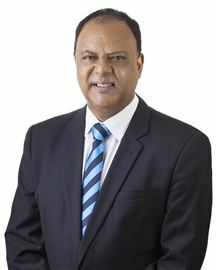 It is in the Eastern Beaches that he has honed his knowledge of the New Zealand Real Estate industry. Over the course of his 15 plus years in real estate, Karl has experience his fair share of booms, slumps and recovery cycles. It is the experience gained from being at the 'coal face' that makes him the best agent qualified to sell your home and/or invest. Whilst the real estate market is anything but consistent, Karl's commitment to providing clients with the highest level of service & knowledge has been unwavering. His high level of repeat business is testament to this. Kevin brings to real estate knowledge and skills that will benefit his clients. He has travelled extensively and has experience in financial management in the diplomatic service overseas. You will find Kevin helpful, friendly and knowledgeable. This is your opportunity to choose someone who will help you achieve the best possible results when selling or buying a property. A qualified accountant, Matt is the other half of the Hindle Team and with his accounting and senior management background he brings complimentary skills to the the Real Estate experience. There's no 'hard sell' with Matt and he has an ability to actually work closely with every client to achieve the best outcome, one happy customer at a time. That's real estate as it should be, and that's the way we like it. " I was never meant to be desk-bound and just love the whole real estate process ...helping people get where they want to go and negotiating for them as if my life depended on it. " Christina and I make a great team: we take the Agency duty seriously, we're hands on and we treat your property as if it were our own. You'll be safe in our hands. It's as simple as that. “I take great pride in putting your interests first”. Sabrina has lived in New Zealand since 2000, she studied Bachelor of Commerce from University of Canterbury in Christchurch since 2001, then back to Auckland open her own Fashion Apparel Business at Auckland CBD in 2005, it achievement equipped her with fabulous customer service skill and knows the market moves are keenly observed. Many of her clients have become lasting friends due to the intense business relationship founded in her own business. She sold her business after 7 years then worked in fashion apparel Company as a Regional Marketing Manager for over 5 years, provide many special offer to promote company’s broad market, brand and benefit. With years of business and marketing experience behind her, Sabrina takes pride in her unparalleled customer service. She listens to her clients, understands their needs and delivers top-notch results to meet every requirement regardless of the challenge involved. She is fluent in English, Mandarin and understands of Cantonese which enables Sabrina make communication much easier for clients, also providing her with an understanding of cultural differences and the ability to tailor her approach accordingly. She has excellent interpersonal skill which allows her to establish strong networks between local and Chinese communities as well as communities from overseas. Sabrina has a vibrant personality, great enthusiasm and an enormous amount of dedication. Her charm and intelligence will immediately engage you and with a desire to deliver a concierge service. "The key to the successful sale of any property is strategic marketing, tailored to suit the properties individual needs. I want my clients to be delighted with the result achieved. To be recommended to their family and friends is the greatest compliment I can receive and one I strive for. I respect the trust my clients give me to sell their most valuable asset." 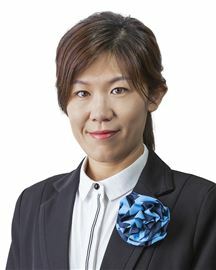 If you are looking for a salesperson who will always put your concerns first, please contact Sabrina Yang today! With a strong property and marketing background, Tom's transition to the real estate industry has been straightforward and successful. Over the years of tertiary study in the University of Auckland, Tom has developed a range of unique skills from his Bachelor of Property and Commerce (majoring in Marketing), allowing him to add value in every stage of the process of client's journey. Following careers in Residential Development and Financial/Property Portfolio Management, Tom now applies the same principles to Real Estate - Professionalism, integrity and enthusiasms. These are important values to both vendors and purchasers. Tom's fluency in English, Cantonese and Mandarin, combined with his ability to relate to people of all ages and ethnic group, allowed him to reach a more diverse client base and match the right buyer for the right property. As a member of the Most Trusted Real Estate brand in New Zealand, Tom continuously polish his skills and knowledge with on-going education and training, to make sure your journey with property is handled with professionalism and dedication. Vanessa has always had a genuine affinity with people. Her ability to connect within her community has been pivotal in her career, created from a genuine care for her clients, along with wanting to ensure her vendors receive the best service in the market. Born and bred in Howick, and now residing in Beachlands, Vanessa knows the area inside-out and is equally respected by her large number of contacts in the greater area. Vanessa previously worked with clients in the creative sphere. A photographer by trade, as well as mother to 3 kids, she has a proven track record of creating value and has strong organisational and negotiation skills. She has turned her customer centric beliefs to real estate and ensuring her vendors are her number one priority. Vanessa’s attention to detail, creative and innovative thinking and her ability to genuinely connect with people means she’s the Agent you need for your next property transaction. 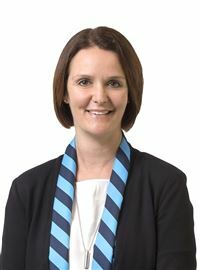 With over 27 years experience in real estate administration Maree joined the Harcourts group as Office Administrator/Receptionist in June 2001. Maree enjoys the customer contact and assisting the sales team in their daily activities. A self motivated individual, conscientious, adaptable, practical and amiable with good communication and people skills. 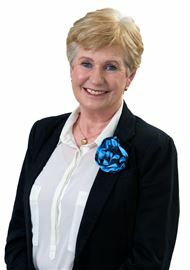 Maree looks forward to greeting you when you contact our Howick office. Behind all successful sales agents are superstar Personal Assistants! Introducing Victoria Jones. Victoria provides second to none customer service and strives to provide outstanding results. Victoria’s job is to make sure all I’s are dotted and T’s crossed. Victoria’s bubbly and genuine personality makes working with her a breeze. Victoria’s dedication, combined with the love of Real Estate makes day to day tasks that much easier. Victoria looks forward to being able to assist Tina Gao on all administration needs and is excited to prove to all clients how amazing Tinas team can be! Spacious Home In Top Location! "Your Dream Home Is Here"
Vendor on the move... Act now! Owners Moving Out! Must Sell! Urgent Sale, Bring all offers!